William Hart digs a well into gas-bearing shale and begins the U.S. natural gas industry. After digging the well, he began piping it into a nearby inn to burned for light. As time went on, more local wells were dug, and Fredonia became a tourist attraction given this novel new use of technology. The Ghawar Field is the largest conventional oilfield in the world. 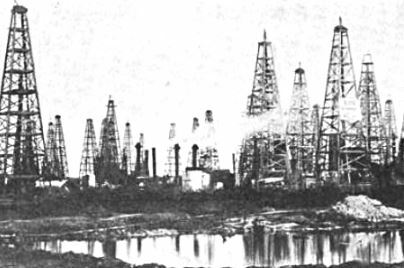 Initially discovered in 1948 using structural drilling, for a time, average production from this oil discovery averaged about five million barrels a day. On a mound called Spindletop, the nation’s greatest gusher was discovered. This oil discovery busted up concerns of an oil monopoly by a group called Standard Oil, and within 10 years of this major discovery, U.S. oil production was equal to the entire rest of the world’s. Another of the biggest oil fields ever discovered in America, the East Texas Oil Field was discovered by Columbus Marion Joiner. Mocked by others for his insistence there was oil in Rusk County, “Dad” Joiner drilled two unsuccessful wells with shoddy equipment before finally “striking it rich” on the third well in Daisy Bradford’s farm. Looking for equipment for your own oil project? 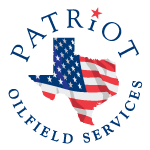 Patriot Oilfield Service has everything from vacuum trucks to completion fluids. Let's talk about our company for a bit. We've been in business some time, and we're family-owned. We are trusted as a provider of our services. Patriot Oilfield Services, LLC offers vacuum trucks, rentals, cuttings removal, and drilling and completion fluids. Give us a call and receive a free quote today.